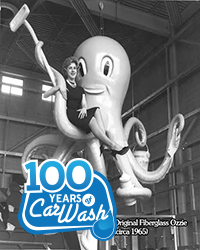 We continue to actively post content to our 100 Years of Car Wash Facebook page. Be sure to check out the historical content and share your own car wash stories. Visit https://www.facebook.com/100YearsofCarWash/ to view the full article online. Mike’s Carwash was recently named one of the 2016 Best Employers in Ohio and Best Places to Work in Indiana. The annual list of the Best Employers in Ohio was created by the Ohio SHRM State Council and Best Companies Group and the Best Places to Work in Indiana are named by the Indiana Chamber. These statewide survey and awards programs are designed to identify, recognize and honor the best places of employment in Ohio and Indiana, benefiting the state’s economy, its workforce and businesses. Visit http://www.carwash.org/news-landing/2016/03/24/mike-s-carwash-awarded-2016-best-employer-in-ohio-and-best-place-to-work-in-indiana to view the full article online. Rising Tide Car Wash has bought a $1.5 million property in Margate to open a second facility. The upcoming car wash location will be on a 1.5 acres at 2970 N. State Road 7. Rising Tide Car Wash focuses on providing employment for adults with autism. It opened its first location three years ago in Parkland at 7201 N.
Visit http://www.sun-sentinel.com/business/consumer/fl-rising-tide-car-wash-second-location-20160325-story.html to view the full article online. "The Las Vegas community is really a tale of two cities," said Pamela Joy Ring, president of The Ring Retail Advisory LLC. "On one hand, you have the resort and gaming community, and on the other, you have the people who work in that community and support the small business people. Prior to the recession, construction was booming here in 2005, 2006 and 2007, and the casinos were expanding fiercely. Visit http://www.reviewjournal.com/business/neon-rebirth/starting-business-post-recession-entrepreneurs-share-success-stories to view the full article online. Vernon Hyman said his favorite part of his job is seeing a smile on the face of a happy customer. Visit http://www.fayobserver.com/news/business/it-s-my-job-vernon-hyman-detailer-at-hank-s/article_376c6d9c-3118-5892-af30-120093c1cbf9.html to view the full article online. Do small business owners need more sleep than corporate executives? Managing a business is no small feat. Marketing, logistics, customer services, human resources - it all starts and ends with you. Time is money, and there never seems to be enough time in the day to manage everything. That''s why small business owners sleep less than they should. Visit http://smallbiztrends.com/2016/03/small-business-owners-sleep-less.html to view the full article online. Intel co-founder Andy Grove passed away on March 21, 2016, at the age of 79. As the first COO and third employee of Intel, Grove was one of the most influential leaders in modern times. As astonishing as his technological contributions were, he also lived according to many principles that everyone can apply to their own lives. Visit http://www.inc.com/marissa-levin/what-andy-grove-taught-us-about-life-and-leadership.html to view the full article online. Building a brand is one of the hardest things a company can do. You know what "I'm lovin' it" means. You know what a bright red cross means - but how those companies are able to go about creating their brands takes some ingenuity. Branding comes down to one simple thing: reputation. Visit http://www.personalbrandingblog.com/personal-and-business-branding-through-community-service/ to view the full article online. There''s a trap people fall into-thinking that ROI is the only thing that matters, or holding a skewed perception about what ROI really is. If you focus exclusively on ROI, ignoring all other metrics and developments, is it possible to still be successful in online marketing? Visit http://www.forbes.com/sites/jaysondemers/2016/03/29/is-roi-all-that-matters-in-online-marketing/ to view the full article online. Unitec is pleased to announce the appointment of Brad Quay to its sales team as Director, Eastern Region. In this role, Quay will support the Distributors, Manufacturers and Corporate Accounts in the Eastern U.S. Region under the direction of Mike White. Visit http://www.carwash.org/news-landing/2016/03/28/unitec-announces-appointment-of-brad-quay-as-director-of-sales-eastern-region to view the full article online. Mark VII Equipment Inc., the North America subsidiary of WashTec AG of Germany, the world's largest manufacturer of vehicle cleaning systems, today announced that Rob Raskell has joined the company as Director of Distribution. Visit http://www.carwash.org/news-landing/2016/03/25/mark-vii-announces-new-director-of-distribution to view the full article online. Turtle Wax Pro recently hired two new National Account Managers, Todd Wood as National Account Manager-West and Andre Guilbault as National Account Manager- East. The newly created positions will be focused on developing and implementing a strategy that will aggressively grow Turtle Wax Pro’s MSO and large tunnel business in the car wash industry. Visit http://www.carwash.org/news-landing/2016/03/29/turtle-wax-pro-hires-two-new-national-account-managers to view the full article online.